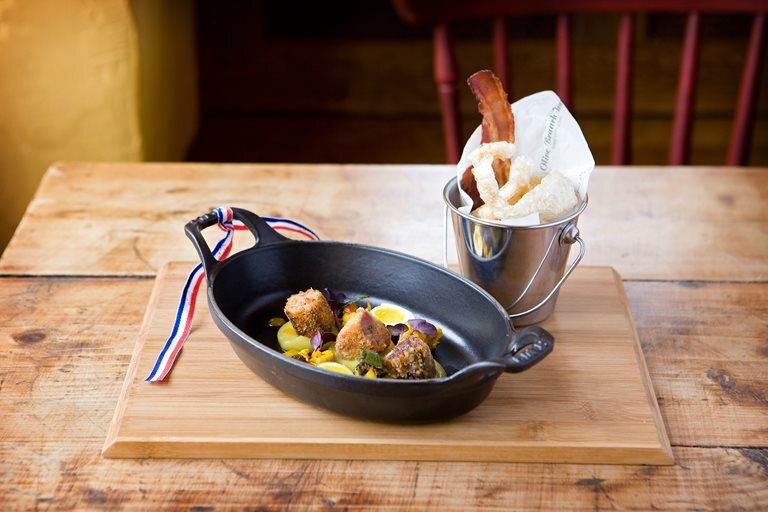 Sean Hope's pork fritters recipe plays on the classic flavour combinations of pork, apple and piccalilli to create a sublime, homely starter. This wholehearted recipe includes instructions for how to make your own crackling, which would be enough of a treat on its own. Hope’s is honest cooking - backed by a deep knowledge of his surroundings and its traditions, as well as an unparalleled ability to coax exceptional flavours out of tiny Rutland’s countryside.